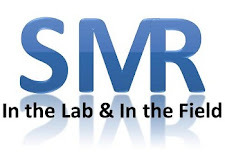 The mission of SMR is to bridge the gap between research and clinical practice related to sports medicine. Take Home Message: More targeted concussion education for high school athletes with a history of concussion is needed. Athletes with more prior concussions, especially negative experiences, are less likely to disclose symptoms, more likely to play with symptoms, and have poorer attitudes regarding concussion reporting. Honest disclosures of concussions and associated attitudes is an issue among high school athletes, especially when an athlete had a previous negative experience. Healthcare professionals rely on athletes to be truthful when self-reporting symptoms so that an athlete can be evaluated or held from competition or practice until symptom resolution. Unfortunately, an athlete with a prior diagnosed concussion who experienced no negative impact to themselves, may not appreciate the value of concussion self-reporting in future incidents; however, there is little research to confirm if this is occurring. Hence, the researchers expanded on their prior investigation to assess the connection between self-reported concussion history and disclosure, knowledge, and attitudes of high school athletes. A convenience sample of athletes from 25 high schools in six sports (167 athletes) filled out a survey regarding demographics, previous concussion events, self-reporting of concussions, and attitudes and knowledge of concussions during their high school years. Among 44 athletes with at least one recalled concussion, less than half of the 84 recalled concussions were reported to professionals. Furthermore, 32% of those athletes with unreported concussions participated in competition and 26% participated in a formal practice while symptomatic. Athletes with a prior concussion were less likely to disclose subsequent concussions and more likely to continue sport participation while symptomatic. For every three recalled concussions, the researchers found a decrease in overall attitude towards concussions. They found no relationship between recalled concussions and concussion knowledge. Athletes withhold information about their concussion symptoms for a variety of reasons that may include a previous negative experience (such as lost playing time); societal behaviors and negative attitudes from parents, coaches or teammates; or a lack of knowledge about the potential consequences of reporting their concussion. Interestingly, the researchers do not believe disclosure can be improved via concussion knowledge, probably because these athletes already have sufficient information from previous concussion events. Instead efforts should be targeted to changing attitudes toward concussions. The researchers admit that the study failed to account for concussions sustained prior to high school and the athletes surveyed were predominately football athletes. Regardless, clinicians can still use these results across all high school athletes and the information can be extrapolated to other sports and age-groups. Clinicians should be mindful of their patient’s knowledge and attitudes pertaining to their concussion history and should focus on the underlying factors or attitudes behind an athlete’s failure to disclose symptoms. Building a good relationship with parents, coaches, and athletes will improve trust and guide efforts for education and improving attitudes toward reporting. Questions for Discussion: Have you noticed concussion perception and reporting improved with education? What methods do you use to increase self-reporting of concussion signs and symptoms? This is a very interesting piece regarding concussion reporting. What I took away was even with all of our education and awareness about concussions, athletes are still underreporting their signs and symptoms. I feel that less than half of the concussions were reported is a pretty alarming statistic. It goes to show that education is key and we still need to advocate the short term and long term consequences of disregarding concussions with all individuals involved. I agree with Kyle that it is surprising the amount of underreported symptoms there is in the high school setting related to concussions. Although education is paramount in this type of situation I am unsure if that is what it takes to elicit a cultural shift in concussion reporting. I think it is really dependent on the parents and coaches to really make this push. Although I do not advocate it, I can see why kids underreport symptoms because to them playing time is all that is on there mind. Ultimately, this takes a team approach to really make a change. I agree with you that multiple people in the athlete's life will have to get on board before the tide will shift. Educational efforts alone have not increased self-reporting enough. I believe that only when the athlete feels safe from the threat of lost playing time (beyond RTP protocol) as punishment as well as the stigma surrounding self-reporting symptoms that come from teammates and coaches, and the athlete receives full parental support will there be a true uptick in self-reporting. Educational efforts should continue, but should target more than just the athlete. You are absolutely correct-this is a disturbing statistic. When I was an athlete in high school, I wouldn't have mentioned any pain or injury that might have resulted in lost playing time, nevermind telling my coach about the symptoms I experienced after getting hit in the head. Athletes don't like to sit on the bench and concussion symptoms put you on the bench. This outdated thought process is, regrettably, still pervasive in athletics and has been (and will continue to be) very difficult to change. My experience highlights your comment that we need to keep up efforts to educate and involve more people: the coaches, parents, and other healthcare providers. The athlete will be more forthcoming about their symptoms if they have a strong, knowledgable support system. Education efforts need to continue as we care for our patients. Thanks for sharing, Catherine! Less than half of concussions actually being reported is a shocking and scary statistic. I have found that holding an educational session about concussion for all athletes, coaches, and parents prior to the start of the season has been helpful in encouraging concussion reporting. The athlete needs a support system that prioritizes their health and well-being over sport participation. I think that when parents and coaches aren't educated on concussion, that is when athletes feel they need to prioritize the team over the health of their brain. As clinicians, it is crucial that we continue to educate others on the seriousness of concussion so that we can put to rest the old "getting your bell rung" mindset. Thanks Maggie! Your educational plan sounds like a good one for others to adopt. Thanks for sharing.